I'm back this week with part three of my interview with Neal Hallford, designer of Betrayal at Krondor. In this installment, we chat about why Ron Gilbert's Cavedog company failed followed by a discussion of Neal's book Swords & Circuitry, the best-ever guide to creating your own computer role-playing games. Sadly, Neal's Thief of Dreams kickstarter failed, but a third party has emerged to back him anyway. I was recently invited to be a guest on TPG Cast with Adam Ames and Phil Cordaro, and though Adam sadly had to miss, Phil and I had a great discussion on how I got started with Matt Chat, academic gaming, DRM, where the industry is headed, and much more. These guys are a hoot, so please check out their other episodes if you like this one. In my second installment of my interview with Neal Hallford, we chat about his masterpiece, Betrayal at Krondor. Famous among CRPG aficionados for its epic story and superb writing, BaK is set in the fantasy world of Raymond E. Feist. Unfortunately, Neal did such a great job mimicking Feist's style that many people wrongly assume that it was Feist who penned the game script! The interview also covers why a proper sequel to the game was never made. In my third installment with SSI founder Joel Billings, we chat about the Gold Box series, Panzer General, and Dark Sun. If you've ever wondered why TSR chose SSI to represent its interests in the videogaming world, this is the video to see. Also check out my rad 3D effects on two of the classic Gold Box box covers. You can download the video. This week I'm back with Josh Sawyer to continue our chat about his history and game design philosophy. Josh started off as a web master at Interplay, but made such a positive impression on the management that he was soon designing his own games. Josh and I (and I suspect YOU!) have a lot of the same games that inspired us, like Pool of Radiance. Josh also talks about some cancelled projects, such as Project Jefferson (BG III) and the Aliens RPG. You can download the video here. Hi, guys! This week I decided to interrupt my Sandy Petersen interview (don't worry, he'll be back next week) to bring you an update from Josh Sawyer on the Project Eternity kickstarter project. Josh is working with Tim Cain and Chris Avellone on what is probably best described as a modern take on Icewind Dale II, though a lot is still in the planning stages. There's a little over a week left on the Kickstarter, so you'd better pledge now if you want to secure some goodies. I'm back this week with part 2 of my interview with Sandy Petersen. In this episode, the maestro of pen & paper games talks about how people like him are better qualified to make videogames than those who jump straight to pixels. In short, the answer is diversity--paper games have it, videogames don't. Sandy also talks about Elf Quest, which he considers a failure, and Ghostbusters, whose innovative system inspired the Star Wars RPG (though unacknowledged). We also chat about his early computer games for Microprose, including Lightspeed and Hyperspeed, and why Sandy turned to the dark side. What do you think about Sandy's argument? Would you like to see as much variety in the videogame market as we see in pen & paper games? Sound off below! This week I roll out the first installment of my interview with Sandy Petersen, author of The Call of Cthulhu role-playing game and all-around gaming icon. Sandy has some very interesting theories about what makes a game scary for players; a lot of what he says will resonate with fans of survival horror games as well as H.P. Lovecraft's stories. Nooo! Don't play the third one!What are the ten worst CRPGs? This is a question that takes a lot of thought, because terrible games typically do not sell well and are quickly forgotten. What I think most of us have in mind with questions like this are high profile disasters--games that received a huge amount of hype, had no excuses to be bad, and turned out to be so spectacularly awful that it was more fun reading and writing the scathing reviews than the game would have been in the first place. We're not talking about low budget, small-team productions that you wouldn't expect much from anyway. These are the big budget games that stank so badly you not only flushed them three times but actually went to the store for a giant can of industrial-strength Lysol. With that as my build up, let's crank up our Roto-Rooters and dredge these crusty wads back up to the surface. #10. Lands of Lore III. The Lands of Lore series was created by Westwood Studios, the legendary developer responsible for Eye of the Beholder and plenty of other epic CRPGs. The original Lands of Lore debuted in 1993 to critical acclaim, offering an interface similar to Dungeon Master or EOB that holds up well even today. The franchise was brought to an intestine-blocking halt in 1999 with the arrival of this boring game with terrible graphics and enough bugs to keep an entomology department busy for decades. Perhaps the biggest problem, though, is that the game tries to be an FPS, ratcheting up the "action" because that's what all gamers want, righhhht? Uh, nope. Don't worry, though, it's a pattern we'll see repeated. And we all know that the definition of genius is doing the same thing over and over again and expecting different results, right? Someday he's gonna be a jedi...10. 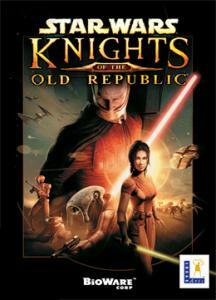 Knights of the Old Republic. I have to admit the bulk of my appeal for this game comes from its setting in the Star Wars universe, which I love almost as much as Middle Earth and Krynn. There were times playing this game where I felt I had actually entered that universe and was a part of something bigger than the game itself. It seems to me that after this game, Bioware cut the cord and went Action, Action, ACTION. There's some of that tendency here, but compared to Dragon Age and Mass Effect, at least this still reminds me of a true CRPG. 9. The Bard's Tale. It's a bit of a guilty pleasure to love this game so much, since it was heavily derivative on Wizardry, but what can I say...It didn't take me long to really want to explore the town of Skara Brae and get my pack of wimpy, glass-jawed heroes up to snuff. I also really like the Bard as a class and character; it seems obvious today, but back then it was really fun to think about a guy out strumming a lute as the rest of the party fought for their lives. I also really like the artistic style, which adds a certain character that really is unique. It also has a great box that you can fold out and see a lovely map of the city. Good stuff. 8. Dungeon Master. Another game that I am deeply saddened to have missed out on when it was fresh. I know I would've absolutely loved it. Unfortunately, it required 1 megabyte of RAM to play, and my Amiga 1000 was limited to 512K. That still frustrates me to this day! Still, when I finally got to play it, I was really impressed with the interface, and it's obvious at once how the real-time elements set it apart from its predecessors and contemporaries. It's a bit hard to get into today because of the magic system, which definitely requires some reading, but overall it's still lots of fun. I remember the ads stressed that you need to wear headphones and only play the game at night. I don't know if that was necessary, but it was a neato game for sure.